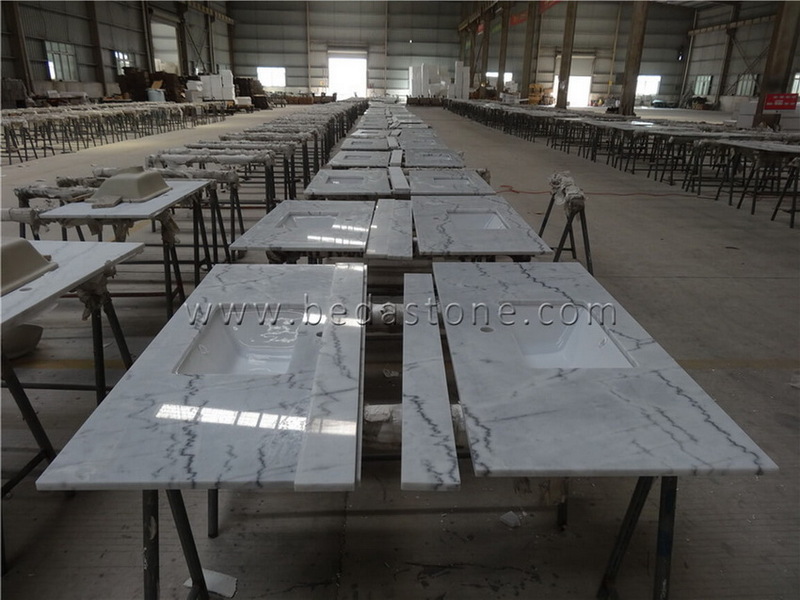 Guangxi White is a kind of white marble quarried in China, also known as China Carrara Marble, with white background and black lines, like cloud in the sky, thus highly used in Countertops, Vanity tops, Island tops, Worktops etc. It can make house more spacious, thus people feel at ease, hopeful. 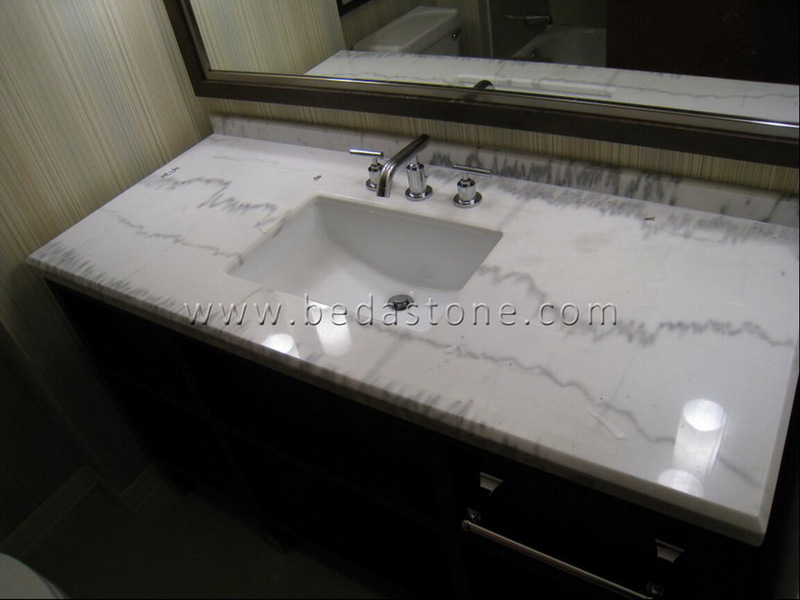 Hotel vanity top: 42"/48"/54"/60"/72"/80"x 23" / 24"
white, black, green, gold, yellow, red, grey, etc. Vanity tops padded with foamed plastic and packed in fumigated wooden crates, reinforced with metal straps outside. G603,G682,G654,G684,G636,G439,shanxi black, China green, tan brown, Santa cecilia, Giallo firota, Kashimir Gold, Black galaxy, verde Ubatuba, Butterfly green, Giallo California, Giallo Cecilia, Absolute black, Paradiso, Giallo Veneziano, Giallo Ornamental,etc. granite countertops, granite island tops, table desk, worktops, granite vanity tops, threshold marble countertops & vanity, registration desk, tub surround, window sill, etc.